SOUTHEAST, NY – Tilly Foster Farm, which reopened to the public on June 3, 2017, continues to foster the historic farm’s heritage with the addition of Sophie (pictured left) and Juliet (right), two new Nigerian Dwarf goats. 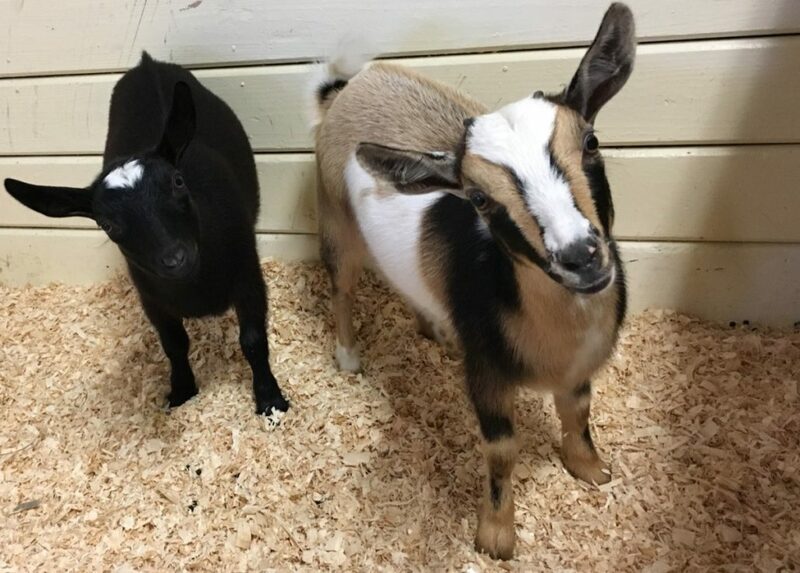 The pair, procured from Good Hope Farm in South Salem New York, will join fellow goats, Calvin and Hobbes, who came to Tilly Foster last December. Part of the revitalization of Tilly Foster Farm has been the return of small farm animals. Visitors can observe a beautiful array of chicken breeds, including Frizzle Cochin Bantams, Silkies, Polish, Red Stars, Barred Rock, Austrolorps, Brahmas and Ameraucanas, which lay blue eggs. The farm features friendly Kunekune pigs, Penelope, Ginger, Lucy and Levi, four Huacaya Alpacas named Honey, Isabella, Sinbad and Raphael, two miniature horses, Sultan and Sunny, and four Nigerian Dwarf goats, Calvin and Hobbes, and new friends, Sophie and Juliet. Tilly Foster Farm is open to the public seven days a week, except for certain holidays. For more information and to make reservations for Sunday Brunch at Tilly’s Table, visit www.putnamtillyfoster.com or call 845-808-1840.